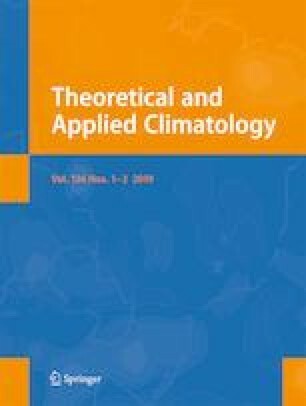 This paper aims to study what influence different meteorological parameters have on the radial tree growth of Scots pine (Pinus sylvestris L.) in peat and mineral soils, as well as to make predictions of radial tree growth responses to changing climate based on various future climate projections. Four Lithuanian peatland complexes representing different geographical settings and hydrological conditions were studied. From each study site, two tree-ring width (TRW) series were derived, one from trees growing on peat soil and one from trees on mineral soil at the periphery of the peatland. The annual growth rings from trees grown on mineral soils, in different geographical regions in Lithuania, show synchronicity, whereas the correlation between the TRW series from different peatland sites was weak to absent. The main factor that explains radial tree growth at the mineral-soil sites was air temperature during early spring (February–March), which influences the onset and duration of the growing season. However, variations in radial tree growth on the peatland sites were also attributed to lagged hydrological responses relating to precipitation and evaporation over several years. Our future projections show that growth conditions for pine trees on mineral soils will improve in the twenty-first century in Lithuania following an increase of air temperature in early spring. The predictions for the trees growing on peat soils, however, rely on the groundwater-level changes governed by a combination of precipitation and evaporation changes. Towards the end of the twenty-first century, the groundwater level in most Lithuanian peatlands is expected to increase, which most likely will result in harsher growth conditions for the peatland trees. This assumption is, however, open for debate as the peatland trees appear to favour the current warming conditions. It may therefore be too early to precisely predict future growth responses for the peatland trees, but this study is a next step to better understand future climate dynamics and vegetation responses in the Baltic region. This study has been funded by the Lithuanian-Swiss cooperation program to reduce economic and social disparities within the enlarged European Union under the name CLIMPEAT (Climate change in peatlands: Holocene record, recent trends and related impacts on biodiversity and sequestered carbon) project agreement No CH-3-ŠMM-01/05.